Miranda's fifth daughter, Kai, desperately wants a pet. Wherever she goes she collects stray animals from bugs to snakes, however, none of these satisfy her dreams of having an animal she can really look after and call her own. Thankfully, a solution unexpectedly appears when their friend Richard reveals that his grandson -a golden rabbit who lives in the Lake District- has the gift of making children's wishes come true. And so, armed with some spells and a lot of camping equipment Miranda, along with her daughters Kai and Viva, embark on an adventure. The only question is will they manage to find the giant waterfall where Richard's cheeky grandson lives and return with a cuddly pet for Kai? 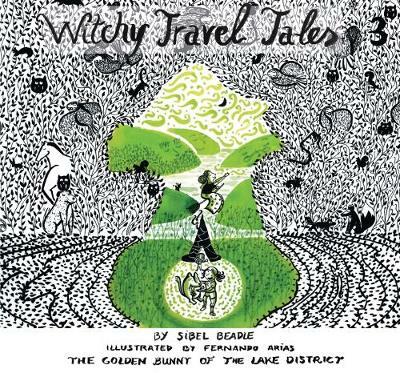 This is the third book in the Witchy Travel Tales by Sibel Beadle with ‘The Seven Sisters‘ being the first and ‘Sleepless in Stonehenge‘ the second.